Jessie began her career with a private clinic where she helped develop the cognitive and social curriculum for an online child development tracking program. This online parenting program won the “Innovator Award” at The Enterprise Challenge, an innitiative under the Prime Minister’s Office, Singapore. She then moved to California, USA as a trailing spouse and taught special education and elementary grades in a public inclusive school. Upon her return to Singapore, Jessie joined the Singapore Autism School (now known as ‘Eden School’) as their school psychologist. She then joined the National University Hospital (NUH) and headed the Psychological Services in the Department of Paediatrics. At NUH, Jessie started the child behavioural sleep services, first in Singapore and other specialised psychology tracks / programs in tandem with the paediatric medical specialiaties. Jessie received her educational training from the National University of Singapore (NUS) and National Institute of Education (NIE), Singapore. She also received several specialised training in USA and is qualified to use specialised intervention programs such as ‘TEACCH/ PECS/ Collaborative Problem Solving’ on children with Autism, ADHD and behavioural problems. She also ran sleep clinics with the psychologists and physicians in the Children’s Hospital of Philadelphia. Jessie has been working with many institutions such as Singapore Ministry of Education (MOE), hospitals and schools (local and overseas). She was a core member in MOE’s Review Panel and contributed to the publication of the first ever psychological guidelines for Psychologists in Singapore in November 2011. She also sat on the MOE’s workgroups to review policies on school placement of children with chronic medical conditions; and ADHD diagnosis and interventions in Singapore. Jessie is a registered psychologist in the Singapore registrar of Psychologist, a full member (International affiliate) of the American Psychological Association and a member of APA’s Society of School Psychology (Division 16) and Paediatric Psychology (Division 54). 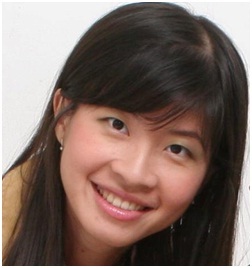 Jessie currently sits as a board member in the Special Education Network in Asia – Singapore Chapter (SENIA-Singapore). The SENIA consists of international professionals and educators with the aim of promoting advocacy and awareness for children with special educational needs in the Asia region. She also sits in the expert panel of consultants for the Special Seeds Singapore, a digital parenting resource initiative of the Rare Disorders Society of Singapore (RDSS). In 2016, Jessie was a consultant in the Project EPIC by the Nanyang Polytechnic’s Medical social work department as part of her voluntary contributions in the education area.